With new changes to legislation and employers ever growing concerns for profits, employees now more than ever, need to know their rights. The question that will be examined further is whether temporary layoffs are permitted. The first and most crucial information to know is that employers DO NOT have an automatic right to temporarily layoff (“TLO”) employees. In order to do so lawfully, generally there must be explicit contractual language allowing them to do so. The idea that an employee would no longer be provided with work or paid for same would constitute a fundamental and repudiatory breach of the employment contract. There is nothing more fundamental to an employment contract than an employee being employed and paid for services (Archibald v. Doman-Marpole Transport Ltd.,  B.C.J. No. 1284). This conduct would amount to a constructive dismissal or breach of contract and damages would be owing to compensate for notice of their termination and/or back pay. The Employment Standards Act, 2000 (“ESA”) provides for a scheme for TLO’s which employers and employees opt into at the time of hiring. This provision is designed to protect employees. It does not, and has not, been held to give employers the power to TLO employees without a contract outlining all terms. The ESA outlines very strict time limits which employers are required to adhere to. Employees are entitled to appropriate notice of the layoff with an indication of the expected return date. b.35 weeks with the continuation of benefits, pensions, insurance plans, eligibility for unemployment benefits (EI) and a recall date within the appropriate timeframe. In either scenario, once the time lapses if the employee has not been recalled they will be deemed terminated and therefore entitled to notice of termination. Generally speaking Courts have also been very leery in finding that there is an implied term or condition of employment that would allow a company to TLO its employees unless their employment contract contemplates same, even when there have been previous TLOs (Michalski v. Cima Canada Inc., 2016 ONSC 1925 (CanLII)). Nevertheless, to further demonstrate the employer’s position is untenable I go on to consider what would be the result if one accepted that the employee’s employment at common law survived the operation of s. 56(1). Termination under the ESA would result in termination at common law. 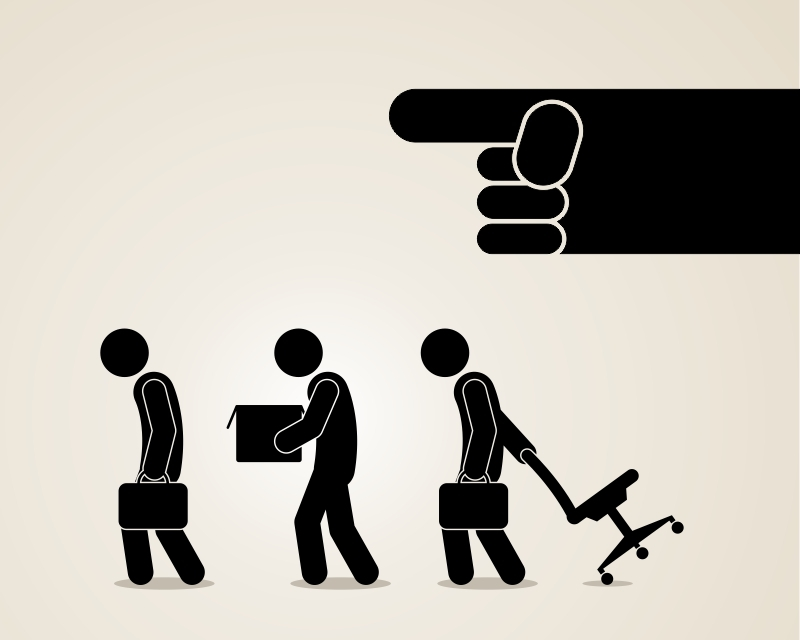 At common law, an employer has no right to lay off an employee. Absent an agreement to the contrary, a unilateral layoff by an employer is a substantial change in the employee’s employment, and would be a constructive dismissal. In this case, the employer asserts that the employment agreement contained an implied term that allowed the employee to be placed on an indefinite layoff. The employee had accepted a previous layoff and recall, and he testified that he considered his employment to continue during the second layoff until it reached 35 weeks. Like the courts below, I find it unnecessary to decide exactly what the term of the agreement was. The analysis that follows applies even if the employment agreement contained an implied term allowing the employer to lay off the employee for more than 35 weeks within a consecutive 52-week period. I proceed as if that were the case. If an employee finds themselves on a TLO he or she should contact an employment lawyer to discuss legal options. If an employee takes a “wait and see” approach this could have negative implications. There is a principle of “acquiescing” or condoning changes to employment contracts as such the length of time directly relates to the courts assessment of an employee accepting changes. Although, this is widely debated employers will likely rely on this to argue that the employee accepted the changes and therefore no breach occurred. It is important for employees to know when an employer has breached the terms of their employment contract. Action should be taken sooner rather than later to be in the strongest position moving forward. For additional information on Temporary Layoff’s please refer to our previous Blog Post on the subject.